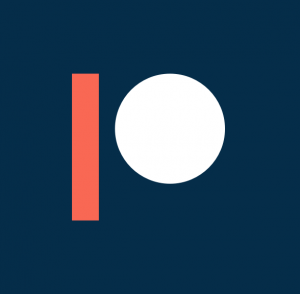 Patreon is a website based on the ancient concept of patronage, where patrons give support to artists (like Leonardo da Vinci and J.S. Bach) so they are able to create more of whatever they are doing. Your generous pledge will make it possible for me to develop and provide more knitting classes, patterns, and books which will continue the work of keeping these historic knitting traditions alive, making them accessible to the world. My area of expertise includes knitting primarily from the 19th century, the time of the advent of the sweater as we know it today. For thirty years, I have been on the road, teaching these old techniques. During that time, I have travelled in eighteen countries, including Scandinavia, the UK, and parts of the Baltic, absorbing as much as I can of the many knitting traditions of the world. Through my work, I hope to honor and preserve the historic practices of knitting. These precious textile artifacts, usually hidden away in museum storage, tell a story: of women’s work–and of men’s as well; of the hardships of life, and the deep human urge to make a useful object that is also beautiful. I have learned so much from the hundreds of museum objects I have examined, and from my readings and studies. I incorporate these techniques into my own knitting, my designs, and in my workshops, because it’s important to me to discover and disseminate these old skills, passing them on to the mainstream of modern knitting. It is my hope that my efforts will help to grow the art of knitting into the future for the next generations. Unfortunately, I have been unable to complete many projects due to the necessity of maintaining my intense travel schedule in order to pay my bills. I have several books and workshops to be completed that I started as far back as 1997! You and Patreon can help me change that! Your generous pledge will make it possible for me to develop and provide more knitting classes, patterns, and books which will continue the work of keeping these historic knitting traditions alive, making them accessible to the world. The Patreon.com site is structured so that you will receive something for your investment. I have put together a program just for my Patreon supporters. Over the next few years I will cover the countries whose knitting I have studied: England, Scotland, Ireland, Norway, Sweden, Denmark, Finland, Iceland, Estonia, Latvia, and Canada. I will be covering aspects from one country each month, February through December, using many methods to convey these skills, such as technique videos, PDFs, articles, patterns, charts of motifs, and more. January will be an overview, plus some technique video. If you participate, you may choose one of the levels of monthly support or choose to give another amount. Even $1 per month will help enable me to continue my studies and research. You can end your patronage at any time. By receiving money in this way, I will be able to develop online classes in my new School of Knitting Traditions, some that are too in-depth for me to offer at the big knitting shows. In creating my school, knitters can access this information on their own time, and people who can’t travel to attend workshops would finally be able to take a class! Proceeds from Patreon and the school would support my ability to generate more content. Thank you so much for reading about my Patreon site, and for contributing what you can!